Yesterday, Greenville Presbyterian Church was officially received as a congregation into the Evangelical Presbyterian Church! It was the beginning of a new era in the long and blessed life of this fellowship of believers. You have put in lots of prayer and hard work seeking to follow Jesus where He has been leading you. Some even noticed that the sun broke through on a cloudy, rainy day as the elders took their vows to serve Jesus in the EPC. As I saw the sun coming through the windows, I could feel in my heart God's presence and blessing upon GPC! Abbeville County offers free adult education in GED, high school diploma, Basic Skills Preparation, WorkKeys Testing and Preparation, and provides other services such as free bus transportation, free childcare, and assistance filling out forms. Download the full information by clicking here. Even though the heavy rains kept us from doing everything we'd planned, Sunday was still a success. Take a look at the photos over on the Youth and Children's Ministry page. 1923 Photo, Do you recognize anyone? Here's one I didn't have time to format for the All Saints picture slide show this morning. This is a Women's Mission Conference at Montreat, NC, on July 16, 1923. See if you can find any family members or other folks you recognize. (It's a very wide photo). If you need a closer look, you can download a 600dpi PDF of the photo by clicking here. We are heirs to a rich history in our church. Many of you have photos of family members who have gone before you as members of the church, and you may also have beloved memories of the saints of the church who ministered to you though they were not members of your family. On All Saints Sunday it is appropriate to remember all of these as well as our spiritual ancestors all the way back to the New Testament and through the patriarchs and the people of Israel whose stories we read in the Hebrew Bible. So bring a photo of one of your ancestors in the faith and a favorite story to Sunday worship. In 1993 an oral history project on Donalds included stories from Albert Seawright and Robert Drake as well as some other members of the Donalds Community you may remember. You can watch the video by clicking here. 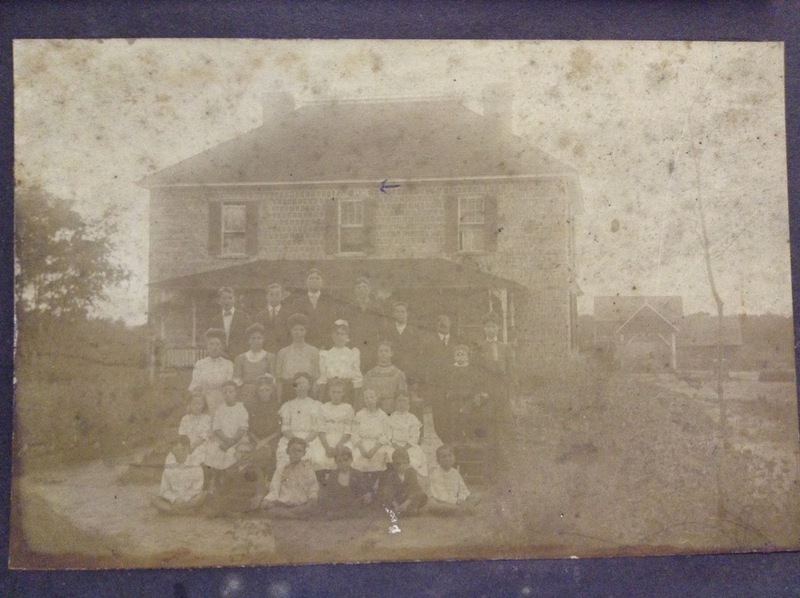 Here are some photos that I found in the church historical records to get things rolling. Some of them note who is in the photo, some do not. Click on a photo to see a larger version. Wouldn't a train from Due West to Donalds be great? There used to be one. Read about the "Dinky"
Read these pages from the Index Journal from November 1988 about the small scale train system to get around our local area many years ago. The main line used to run through Donalds and this small rail line carried passengers from Donalds to Due West and back. In our special topics adult Sunday School class the content will be the DVD series based on the book Confronting the Controversies: Biblical Perspectives on Tough Issues by Adam Hamilton. The class meets upstairs in the education wing at 10am. Genie McDill is the facilitator. It's that time again! Winter Camp 2014 is just around the corner and we hope you'll mark your calendar to join us on. As always, our time together will be spent making ornaments, decorating our tree, hearing the story of baby Jesus, and participating in the Clinton Christmas Parade. Also, starting this year we will be collecting non-perishable food items for the Greenwood County Food Bank. We are so excited to extend our helping hands to provide for families during the holidays. Registration is online this year! If you came to summer camp, you may use your same online log-in information. If you are new, please make an account to register and you will be guided through the process. You may access the registration server through our website (www.campfellowship.org). Please see the flyer for more information and share with your friends! The New Testament book of Revelation remains one of the Bible's most troubling texts. Some read it as a prediction of the Antichrist while others dismiss it as a bizarre historical relic. Many choose not to read it at all! This course will argue that Revelation does in fact have an important message for the contemporary church, but not in the way it is commonly understood. Rather, Revelation presents its readers with a call to resist Empire in all its forms, both ancient and modern, having faith in Christ alone. Beginning with its ancient Roman context, we will explore what that resistance meant in its own time, and what it might mean for us today. Session 2: "The Heroine and the Whore: Reading Gender in John's Apocalypse"
(hosted by the Presbyterian Student Association at the Presbyterian Student Center, (864) 654-3705, 401 College Avenue just below Fort Hill Church, on the left, as you head away from campus next to the Catherine J. Smith Plaza). Emory University, as well as a diploma in Jewish Studies from the University of Oxford. A graduate of Columbia Theological Seminary and Clemson University, Dr. Williamson was nurtured in the faith at Fort Hill Presbyterian. He is currently co-editing Imagination, Ideology, and Inspiration: Biblical Studies after Wafter Brueggemann, anticipated publication in 2014. Brandon Cox shared some of his art with the Donalds, and Due West community at an art exhibit at the Bowie Arts Center at Erskine College today. Take a look at a few of his pieces. They include photography, painting, pastels, and other media. We had a great crowd for our Lessons and Carols Service on December 15th. We read a selection of passages related to the story of the birth of Christ and the choir and congregation sang anthems, hymns, and carols in celebration. After worship we adjourned for lots of good food! Take a look. 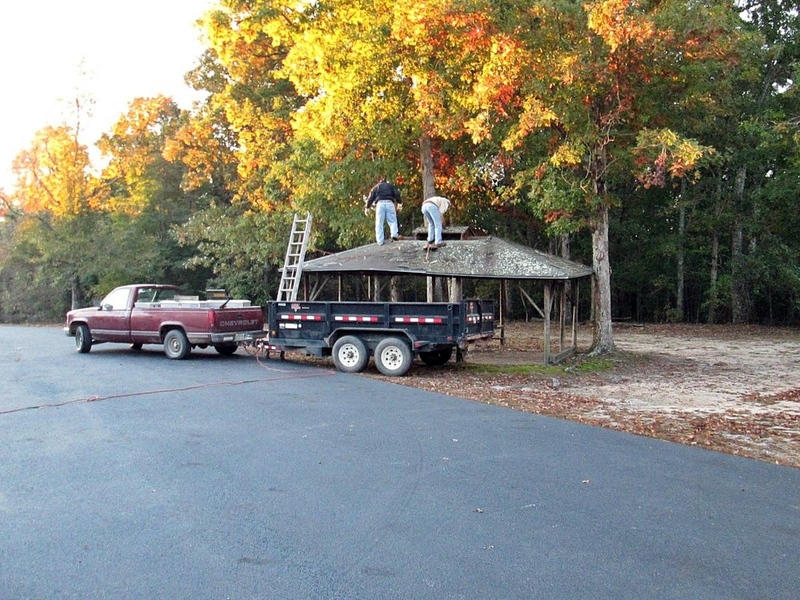 After many years our old picnic shelter became unusable and the property committee looked into replacing it. Plans are for a 30' x 40' covered area on a concrete slab. That's roughly the size of the inside of the fellowship hall, so it will be like having an outdoor fellowship hall. The shelter will be for our congregational use, but will also be a great asset to our folks who come for family reunions and special events. Thanks to Matt Cox for overseeing the removal of a few trees, and to Wayne Hannah, Chuck Marion, and Jamie Knight for doing some of the other work so far. Check back in for future updates on the construction. The Cemetery Fence is Finished! The Cemetery Committee has overseen the successful completion of the new span of fence along Greenville Church Road. It matches so well, it looks like it's always been there. Thanks to Robert Nance of Iron Man Wrought Iron in Piedmont, SC, Sammy Williamson (our local brick mason), and Ethridge Monuments. Members of the clergy in the Presbyterian Church of South Sudan, a partner church of World Mission, were released after nearly seven months of imprisonment. Reverend Idris Joshua Idris Nalos and Pastor Trainee David Gayin were taken from their homes on May 19 by armed men identified by Amnesty International as security forces. The two were kept incommunicado – without access to lawyers or their families. Their whereabouts remained unknown until their recent release. Neither Rev. Nalos nor Gayin were charged with a crime. No further details are available regarding their current health. In support of our partner church in the Republic of South Sudan, leadership within PC(USA) contacted the government there and U.S. State Department on the pair’s behalf. Also, congregations throughout the United States were encouraged to write letters to the government and offer prayers for the pair’s safe release. Thank you for supporting our efforts to help those in South Sudan and our partners in their time of need. Students in 1st-8th grade are invited to join us for this special seasonal celebration at Camp Fellowship. Arrive Friday afternoon between 4:30 and 5 pm. Schedule includes Cookie Decorating Contest, Caroling, Christmas-Themed Campfire, a Special Service Project, Crafts, Games and other Camp Fun! Cost - $40; includes meals (dinner, breakfast, and lunch), supplies, program materials/staff, transportation, and a commemorative take home! Complete the web-form to register today! Presbyterian Disaster Assistance (PDA) is responding to the Philippines in collaboration with our mission partner the National Council of Churches in the Philippines (NCCP) and fellow members of the ACT (Action by Churches Together) Alliance. An initial grant of $50,000 from One Great Hour of Sharing funds will help provide emergency food, water and other basic humanitarian needs to families affected by Super Typhoon Haiyan that struck the country on November 8. Click here for more info or to make a donation online. (Photo by Arlynn Aquino - EU-ECHO) Click on photo below for more photos of the storm damage. The 11th annual Community Thanksgiving dinner will take place Nov. 28th from 11:30am - 1:30pm. The meal will take place at the Erskine Cafeteria and is open to all, it also includes deliveries to shut-ins. To volunteer to provide a dessert item, serve as a delivery driver, or to give the name of someone in need of a meal delivery, contact Sharon Bradley. Monetary donations can be made through the Commercial Bank in Due West, make a deposit to the account for the Christian Action Committee -- Thanksgiving Fund (Make any checks payable to that name as well). Donations can also be mailed to Martha Amsutz. For full information go to this link. The Christian Education Committee is hosting a pumpkin decorating party for children K4 through 2nd grade on Sunday, Oct 27, at 12:30pm. After worship we will have a fellowship lunch for everyone and then the kids can decorate their pumpkins. Please RSVP with the email contact form here on our website and let us know how many kids are coming. Children beyond our church family are welcome to come and participate, just let us know they're coming so we can have enough supplies and supervision on hand. It's going to be FUN!! !